We would like to extend a huge congratulations to our 2018 school leaders. 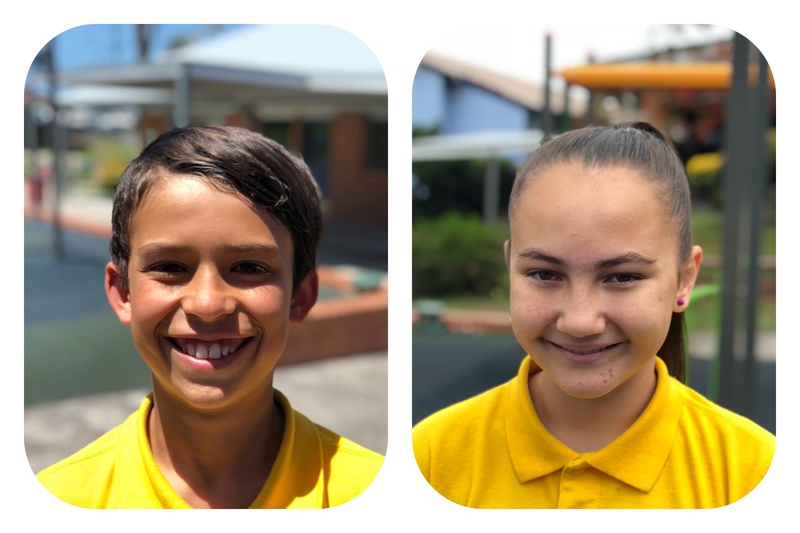 On Friday, all of our year five nominees delivered their speeches and the school community then voted on the 2018 leadership positions. The 14 candidates spoke with enthusiasm while demonstrating excellent leadership capacity and tremendous school spirit. We were very proud to have so many worthy candidates and we would like to once again congratulate those students who ran for the position but were unsuccessful. We look forward to seeing these children in other leadership capacities next year. Our successful school leaders, Phoenix, Ti-Amour, Riley and Jessica should be very proud of the way they spoke and presented themselves on Friday. 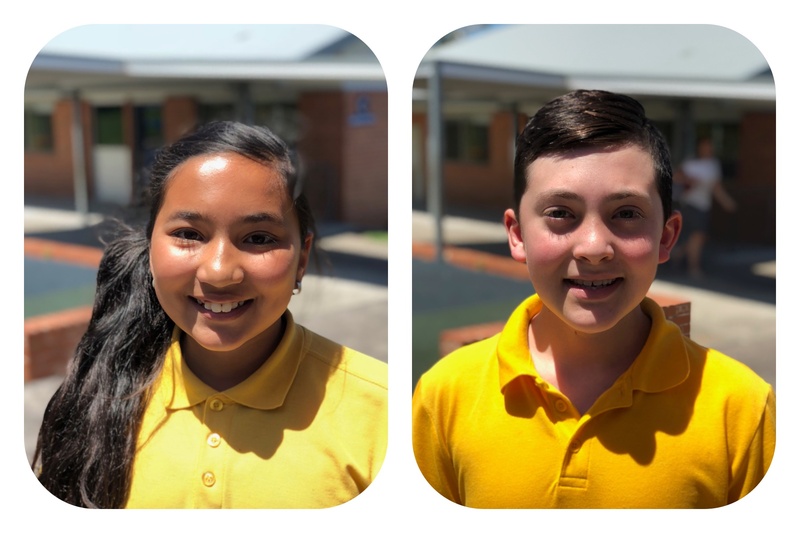 These four students have consistently demonstrated our school values over the years and applied themselves whole-heartedly to every aspect of school life. We are very excited to see them further develop their leadership capacity in 2018. Phoenix- "I would like to be a good friend and example to everyone. I would like to make sure everyone is safe and happy by stopping anyone that is bullying". Ti-Amour- "As a 2018 School Captain I hope to strive for excellence and make all kids feel welcome." 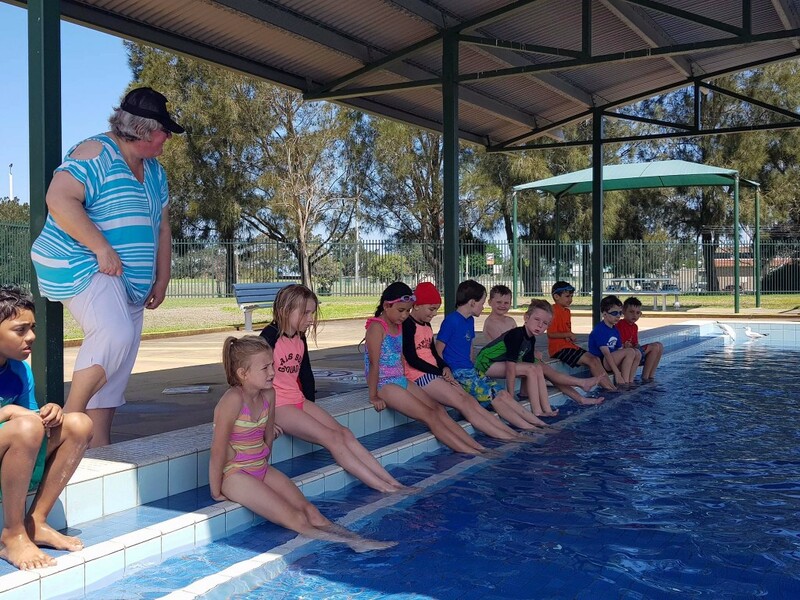 Jessica- "As a school leader I would love to inspire younger students to become school leaders when they have the opportunity. I want to motivate younger children to become good students and I will help if needed." Riley- "As a 2018 school leader I will try to stop any bullying in this school." 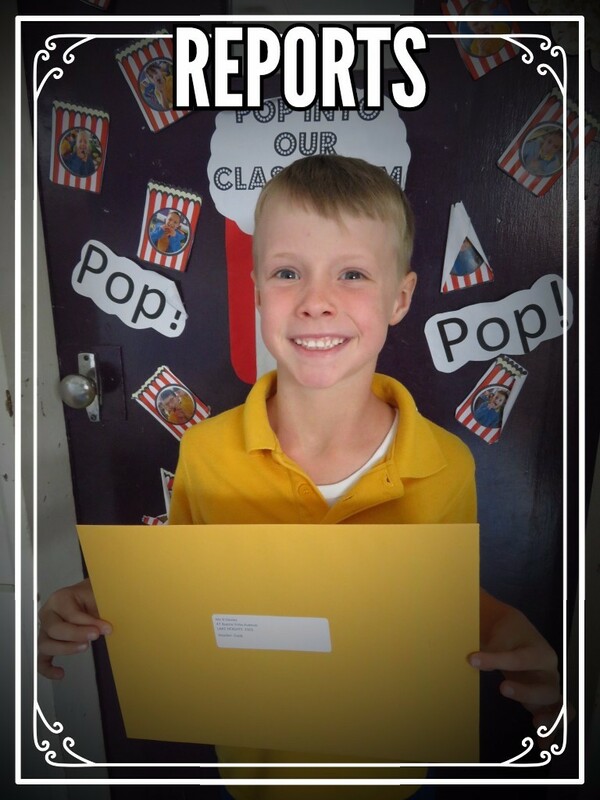 This afternoon, your child will bring home a large, yellow envelope containing their school report. Teachers have worked hard in the last few weeks to ensure that the report is an accurate reflection of your child's academic achievement. If you have any questions about your child's report, pease feel free to organise a time to meet with your child's teacher. 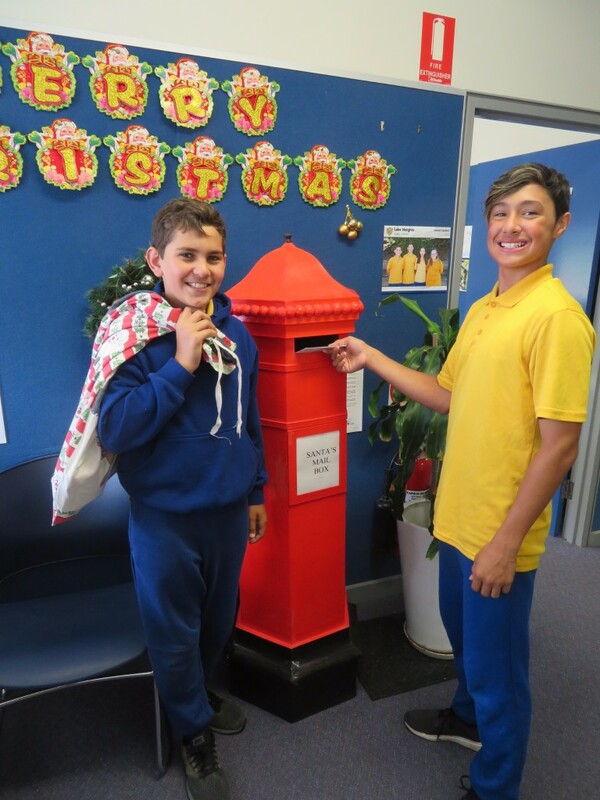 Students wishing to participate in giving and receiving Christmas cards may drop their cards into Santa's Mailbox, located in the office foyer. Each morning during December, Santa's helpers, empty the mailbox and deliver the cards to classrooms. 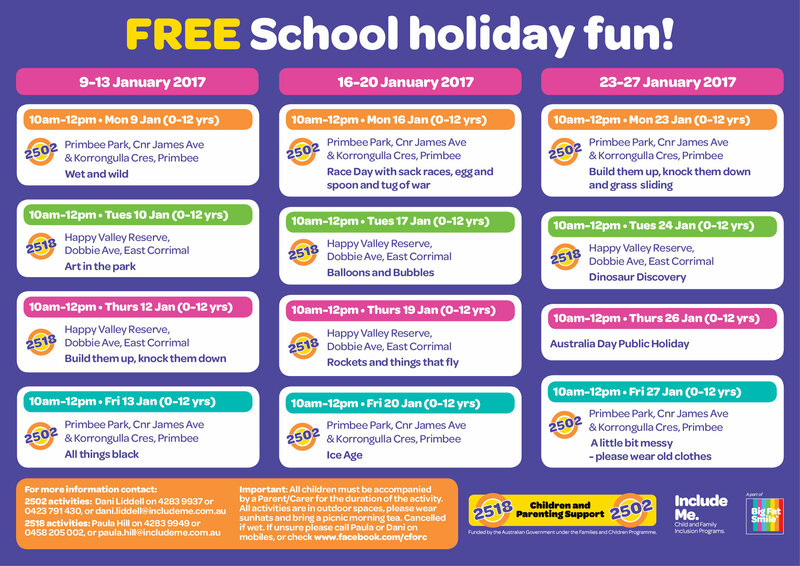 K-2- Monday December 11, 2017 3:30 pm - 5:00 pm Years K-2 will be treated to an end of year disco in the Learning Hub from 3.30 to 5.00 on Monday 11 December. Dress in smart casual. Bring a PLATE and GOLD COIN for entry. A note will be going home this week to tell parents what type of food their child is required to bring and remind parents of the disco details. 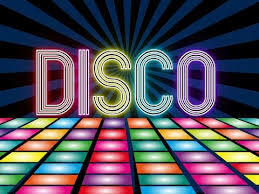 3-4 Monday December 11, 2017 5:15 pm - 6:45 pm Years 3-4 will be have their end of year disco in the Learning Hub from 5.15 to 6.45pm on Monday 11 December. Dress in smart casual. Bring a PLATE and GOLD COIN for entry. 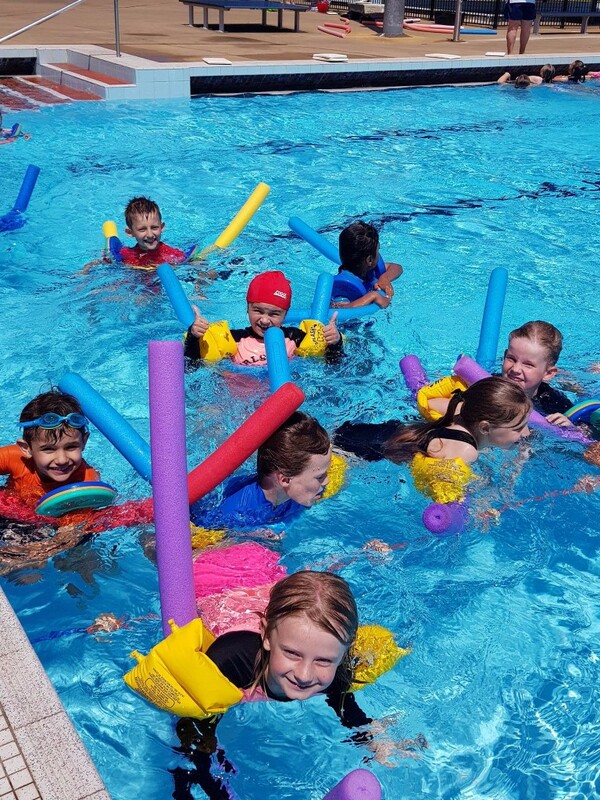 Our first week of Swim School was a huge success as students splashed, swam and kicked their way through the lessons. 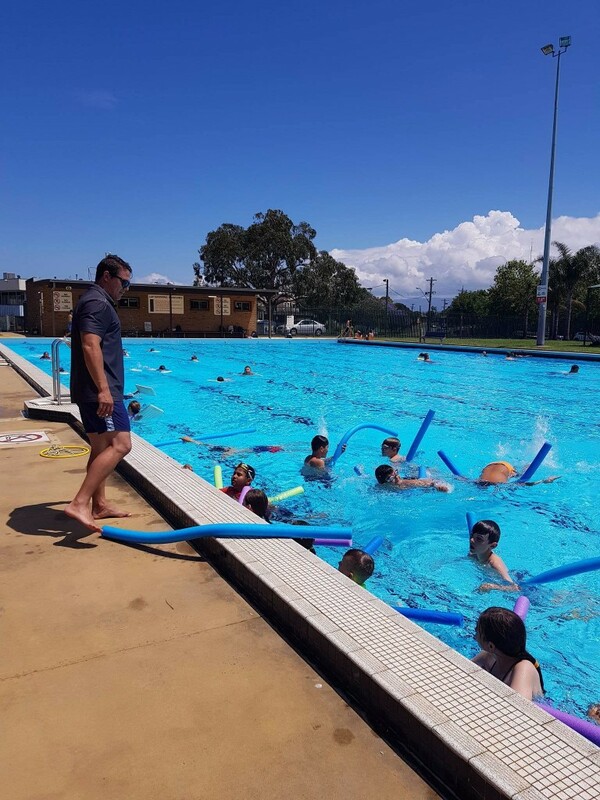 With summer fast approaching, swimming is an invaluable skill for students to have and at LHPS we are proud to provide them with every opportunity to develop these safety skills. 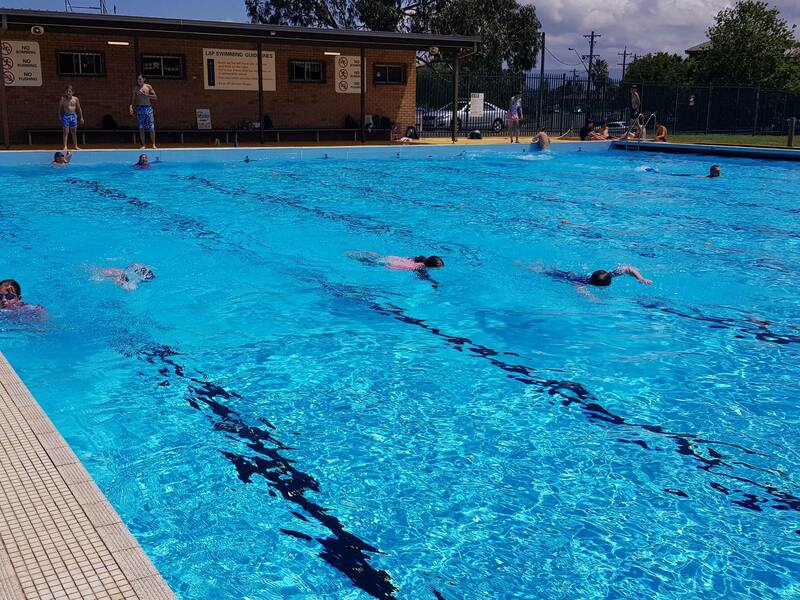 We look forward to another week of Swim School afternoons. Library borrowing has now finished for the year and we ask that any remaining library books be returned to the library promptly. As Mrs Giles will be conducting an annual stocktake this week, it is important that all library books are returned. 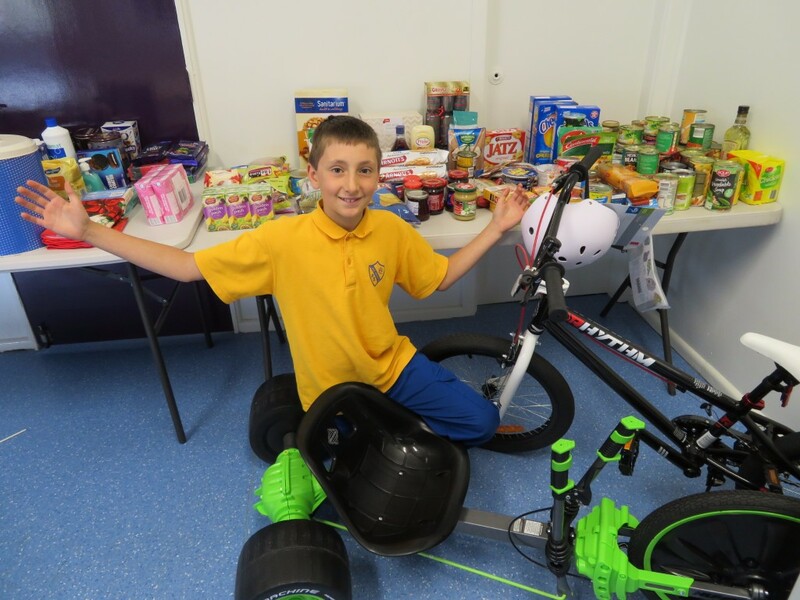 Thank you to everyone who has already donated to the school Christmas Raffle, it is looking to be an exciting event this year. As you can see, the kitchen is filling up with donations to create exciting raffle prizes. The school will be accepting donations until Tuesday afternoon at the latest. Don't forget, tickets are $1 each, 3 for $2 or $10 for the whole book. Money and ticket stubs can be placed in an envelope or ziplock bag and dropped at the office. The raffle will be drawn at the conclusion of Presentation Day Awards ceremony which runs from 9.30 - 11.00 on Wednesday 6 December. A special thanks to our P&C ladies who have been collecting donated goods each afternoon and creating exciting hampers. Rehearsals are well under way for our Presentation Day items and they are looking particularly exciting this year. The Annual Presentation Day is a formal recognition of this yearâ€™s successes and achievements and will begin at 9:30 am on Wednesday 6 December. A K-2 and 3-6 school item will provide entertainment during the ninety minute program. Thank you to all of those who completed our School Plan survey. 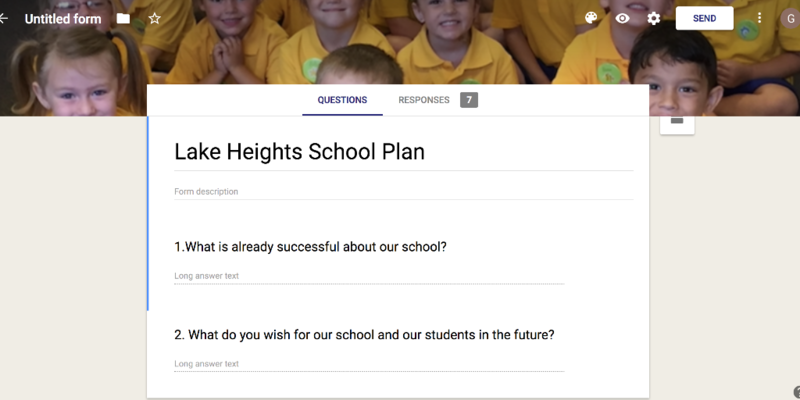 We have added the responses to our list of items to be discussed during our planning days. Whilst the survey is now closed, we have included all of the responses in a PDF for those who would like to read them. The PDF of responses can be accessed here. If you would like to add any last minute responses, please feel free to see Mrs Whyte. Thanks again for your input. 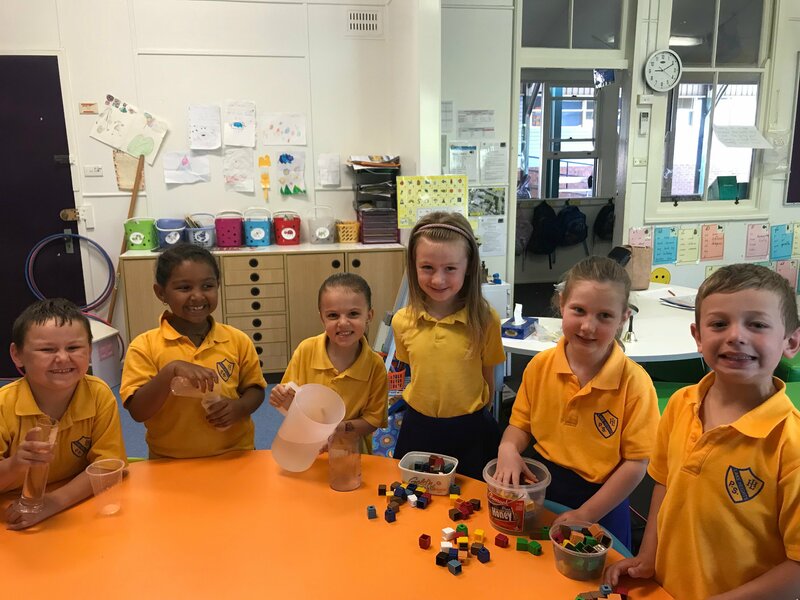 Kindergarten Kindergarten have been measuring the capacity of containers this week. K/1 K/1 have been focussing on place value in maths recently. 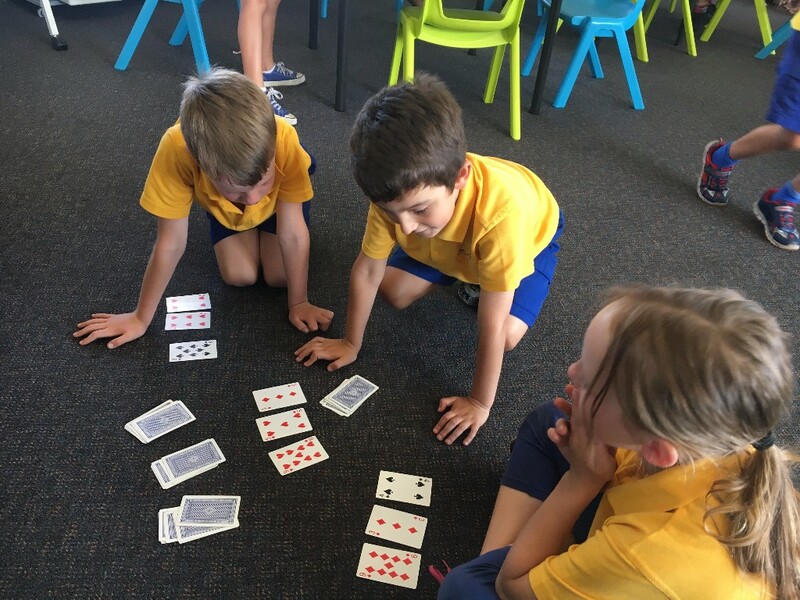 This week we played place value war and the students that made the highest place value were the winners. Jacob had lots of luck and won every hand on Tuesday! 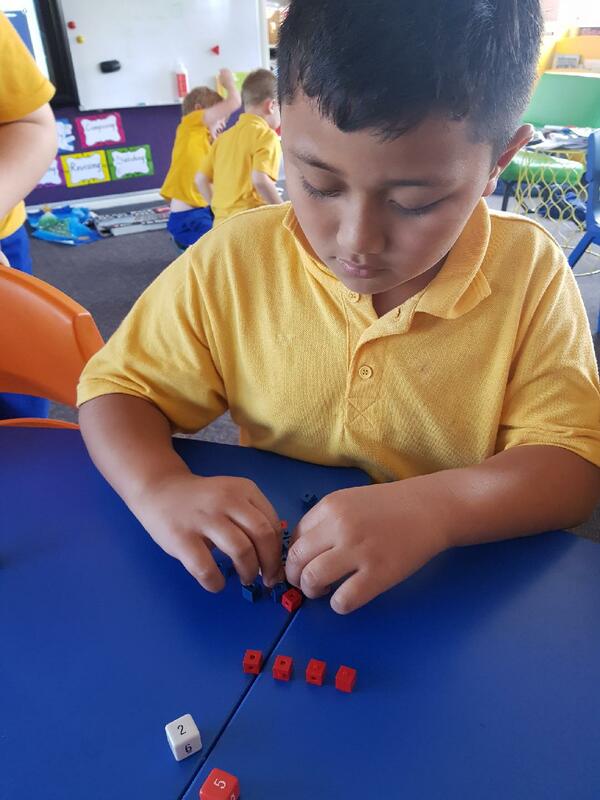 1/2 Year 1/2 have been revising multiplication using dice and linking cubes. Students were able to make arrays to show their answer. 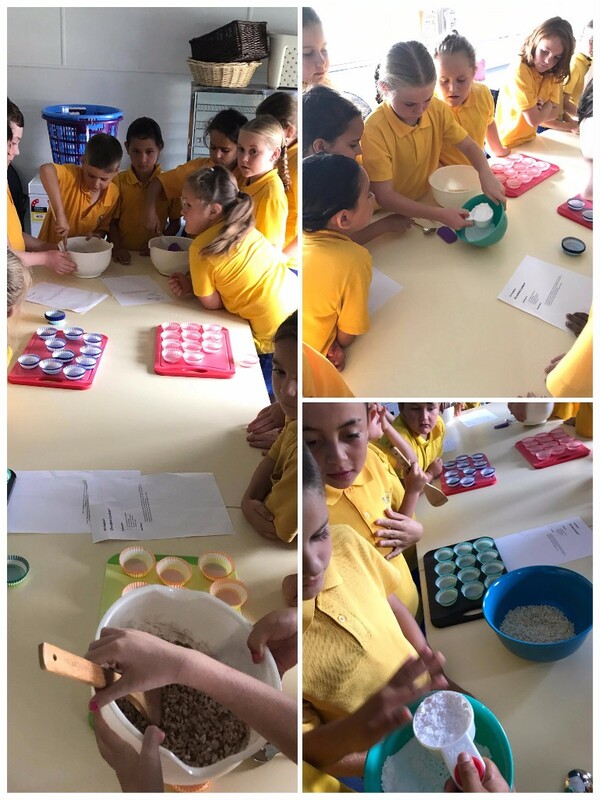 2/3 2/3 measuring for maths by making chocolate crackles. 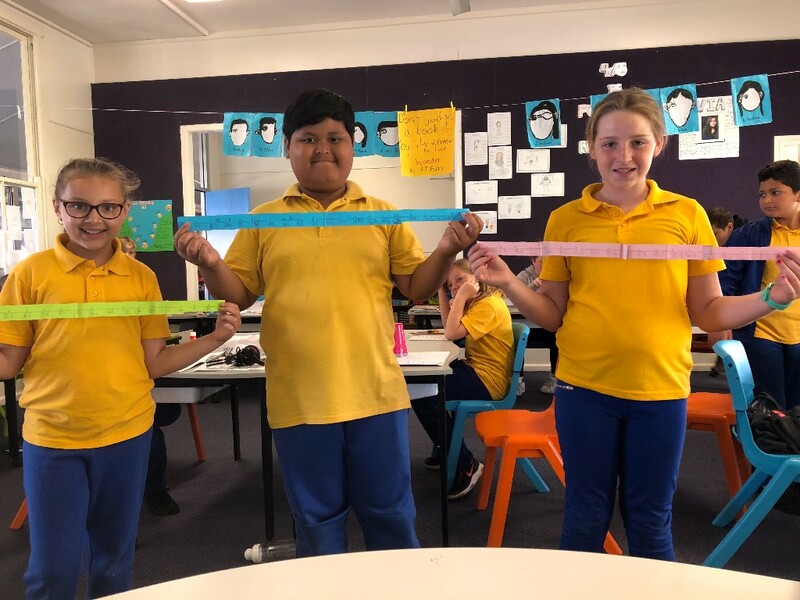 4/5 4/5 have been learning about decimals and fractions on a number line. 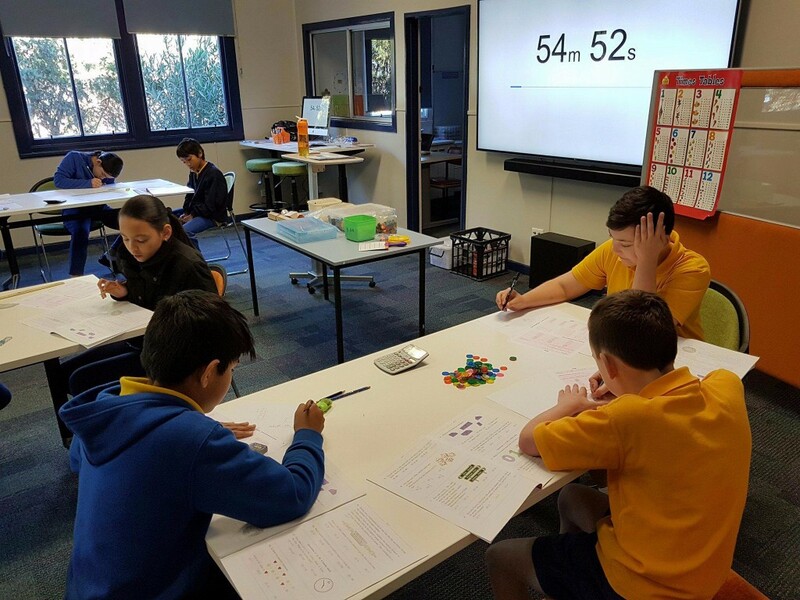 5/6 5/6 end of year assessing.